Looking southwest from Independence and Ryals. Have you noticed all that bright orange plastic that’s been strung through the fields along Independence Highway? Around here, orange usually signifies Oregon State’s Beavers. 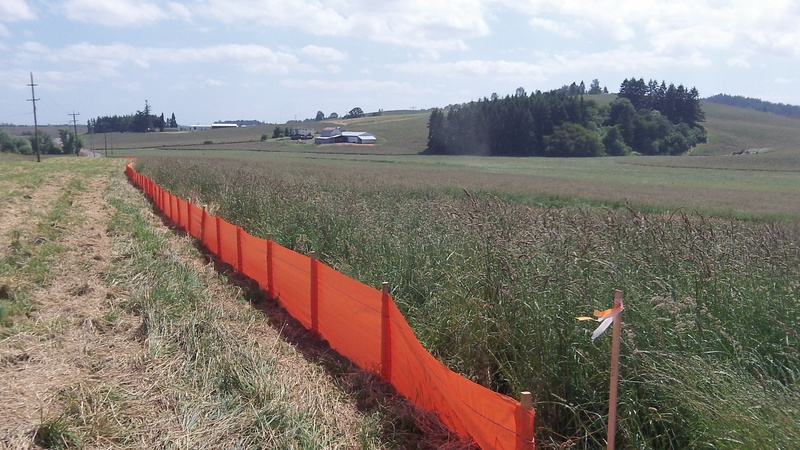 But it turns out the erosion barrier is merely a sign that Northwest Natural is starting the latest phase of its gas pipeline expansion program in the Willamette Valley. 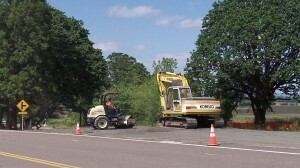 On Tuesday afternoon, near the intersection of Palestine Road and Independence, a crew was finishing up a staging area for the pipeline project. 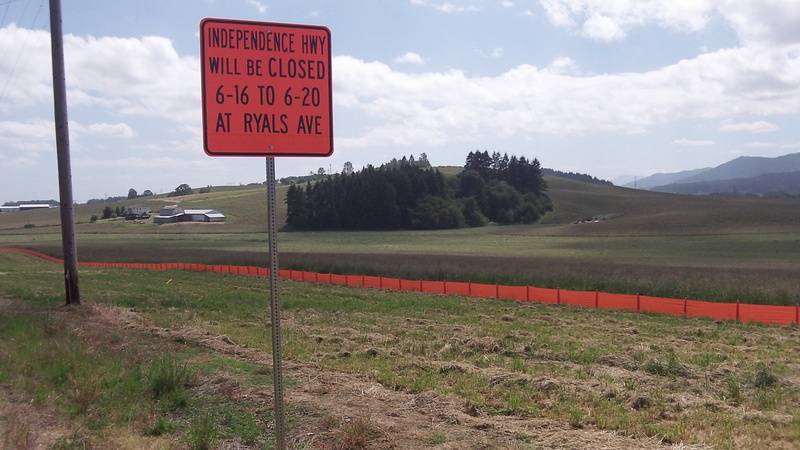 And near the intersection with Ryals Avenue, a sign notified motorists of a forthcoming weeklong closure of a segment of Independence Highway itself. Preparing a staging area off Independence. “I found out that Northwest Natural is installing a pipeline along Independence Highway over the next few months, and they have installed construction fencing along their project locations. Much of the work is on private property, but the county did issue permits for work that will be completed in the right of way.